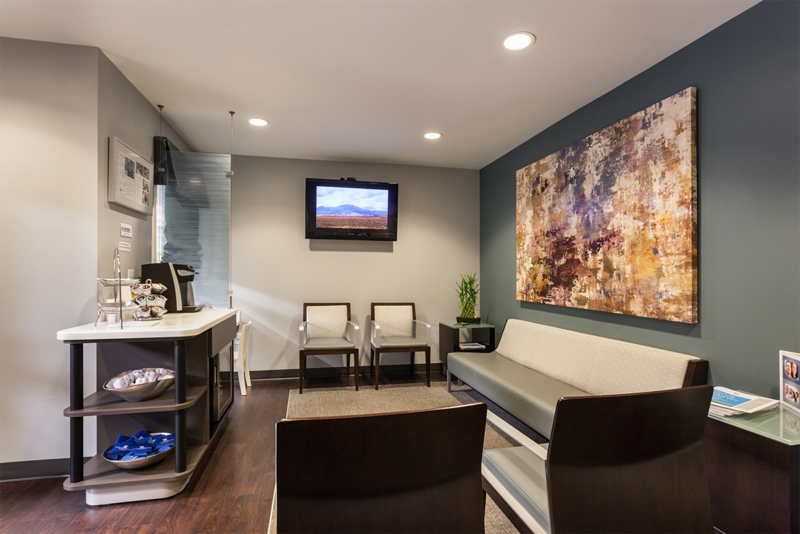 Our Concierge Dental Office offers a level of clinical excellence and customer service you won’t find in the average dental office. After practicing in Charlotte for 14 years, Dr. 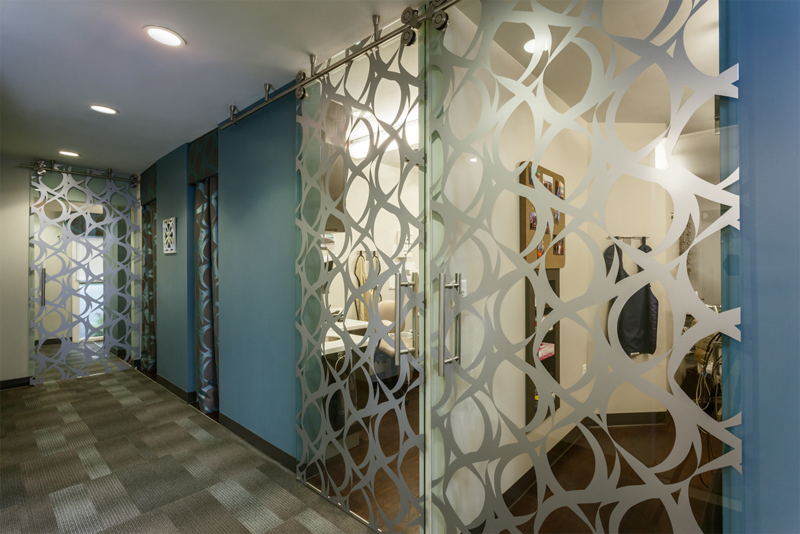 Linger left a large group practice in 2012 to create Charlotte’s first Concierge Dental Office. 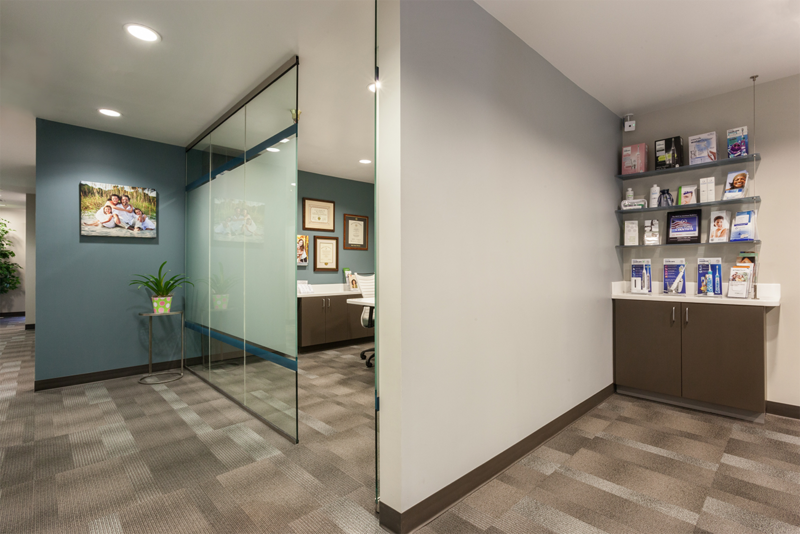 “I wanted a practice that was able to provide caring and personal attention and offer a uniquely comfortable experience for our patients,” notes Dr. Linger. Concierge Dentistry means offering services and amenities not usually offered at a dental office. Patients love the idea, consistently ranking our office #1 on online review sites. Whether you are looking for world class cosmetic dentistry, same day dental implants, sedation dentistry, or advanced level preventive care (that helps you keep your real teeth for life,) we can provide you with all of your dental services in one location. 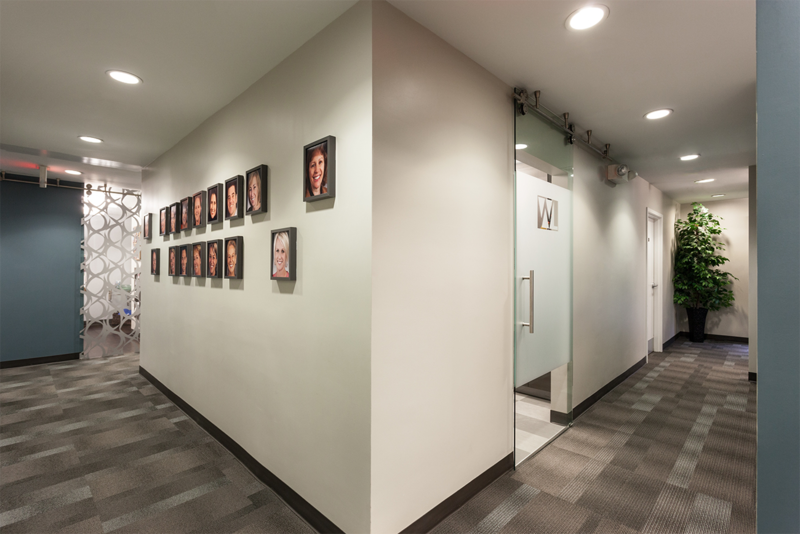 Main Hallway and Our "Wall of Fame"
Recognized as one of America’s Top Dentists, Dr. Linger is uniquely qualified to offer a range of services above what most dental offices provide. 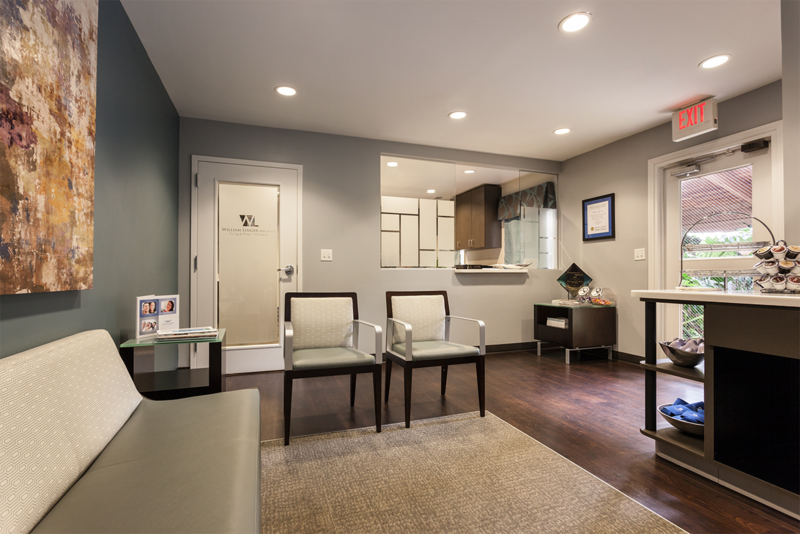 Your visit to the dentist should be a comfortable, safe and stress-free experience. Dr. 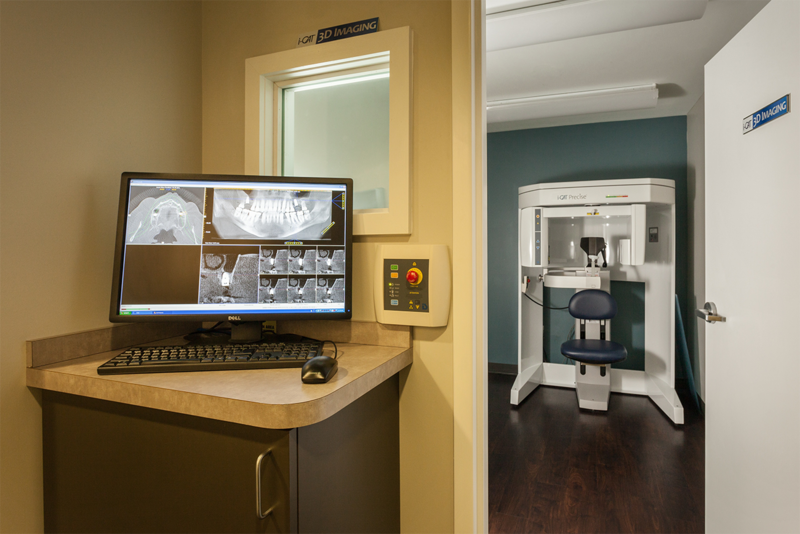 Linger has developed special methods in sedation dentistry for the fearful patient. He believes in helping fearful patients accomplish their goal of being healthy. He serves as a mentor for other dentists through the Dental Organization for Conscious Sedation. Our Charlotte dental office is located in the Park Place On Wendover Building, 435 North Wendover Road, Charlotte, NC 28211. Our beautiful atrium entryway is a magnificent display of open windows, interesting architecture, and a world of unique plants! There are few dentists who have received the level of training that Dr. Linger has as a Master of the Academy of General Dentistry. Less than 1% of dentists have achieved this designation. This represents training across a broad range of dentistry from surgery to cosmetics. He uses the extensive training and experience to treat even the most challenging dental situations, by performing all treatment in the same office. Dr. Linger’s extensive experience, education, and training, coupled with the fantastic care provided by our dental assistants, makes even the most fearful patient feel comfortable in our office!